For users of iPhone or apple products like iPad, iPod, etc. where you would love to make use of iTunes on your PC, especially those with Windows 10, and you don’t get the usual sound people get, to know they are connected, you may come up with search like iTunes no sound windows 10. You don’t need to worry anymore because the solution to the problem lies here. Part 1: Trouble Shootings For "iTunes No Sound Windows 10"
There are a lot of reasons why you may not hear a sound when you connect to iTunes on your Windows 10 PC. However, we are more interested in the solution rather than the problem here; so, it is important to do troubleshooting in order to find and fix the problem. There are 5 tips to take when doing this troubleshooting on your PC and each one of them will be explained in this article. 1 Check For iTunes Update on Windows 10: Sometimes, the problem could be as a result of the iTunes on your PC or MacBook being outdated, i.e. an old version. The best thing to do is install the latest version. 2 Update Windows 10 Audio Driver: Basically, you may want to consider the problem could also be as a result of some current settings on your phone or PC. So, in order to make sure everything comes out successful, you could restart your iPhone and PC. 3 Change iTunes Audio Playback Preferences: The USB cable is one other thing to look out for; the cable could be faulty or broken. If your USB cable is in a good state and discoverable by your PC, then you are good to launch iTunes. 4	Computer Audio Settings: There are many times iPhone users make certain settings on their phones without considering the implications; check for restrictions and disable them immediately. 5	Sound Enhancer Conflict: There are many times iPhone users make certain settings on their phones without considering the implications; check for restrictions and disable them immediately. If all the above method still can’t help you to solve the problem “iTunes No Sound Windows 10”, you may need an iTunes Fixer to repair your iTunes. Here’s an iTunes Fixer for you to solve the problem with it without having any more future issues with iTunes on your Windows 10. iMyFone TunesFix is a repair tool that identifies the problem and fixes it for you perfectly. It can detect and fix all iTunes issues automatically without being aided by any external tool. All unknown errors which may not have been considered are repaired perfectly to avoid future scenarios. It can 100% clean iTunes and make it free from bugs and fixes. 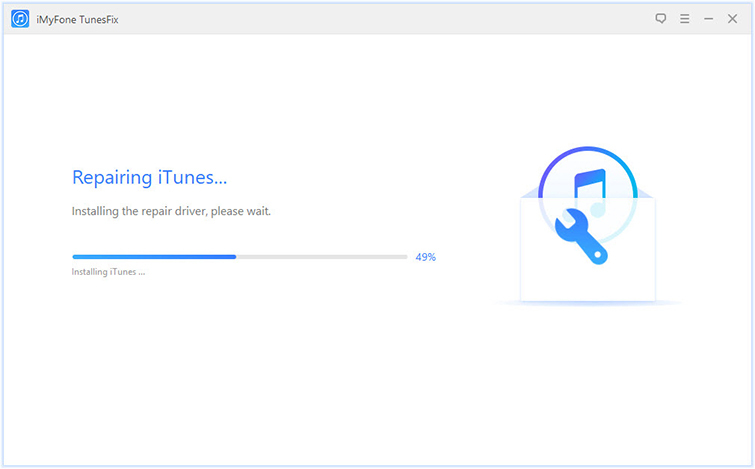 It helps to uninstall iTunes completely without traces. Step 1: Launch iTunes Fixer on your Windows 10 PC. Step 2: Once you launch it, choose “Fix Other iTunes Problems” if you have no idea what error with your iTunes and click on Repair to start. 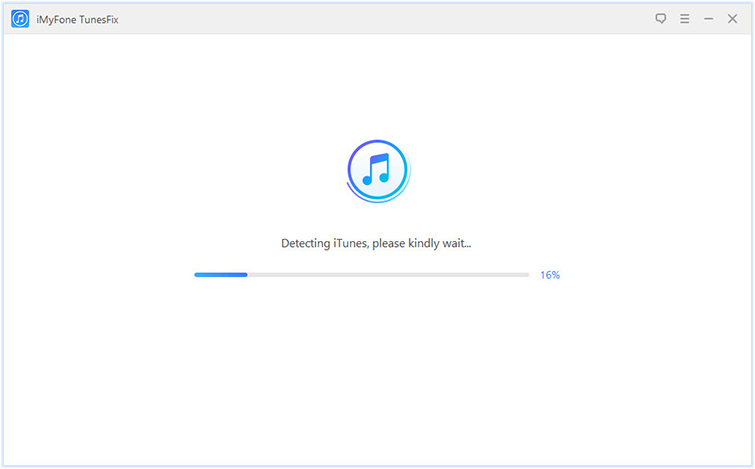 iTunes Fixer does a quick automatic scan on your PC and detects issues. Step 3: Wait for the process to finish. Once done, you can try your iTUnes to see if the issues have been repaired. What Other Things Can iTunes Fixer Do? Fix iTunes Install or Update Issues: Repairs iTunes unknown errors and allows you to choose a repair mode. Repair Backup or Restore Errors: iTunes Fixer allows you to repair both back-ups and fix restore errors that may result on iTunes. 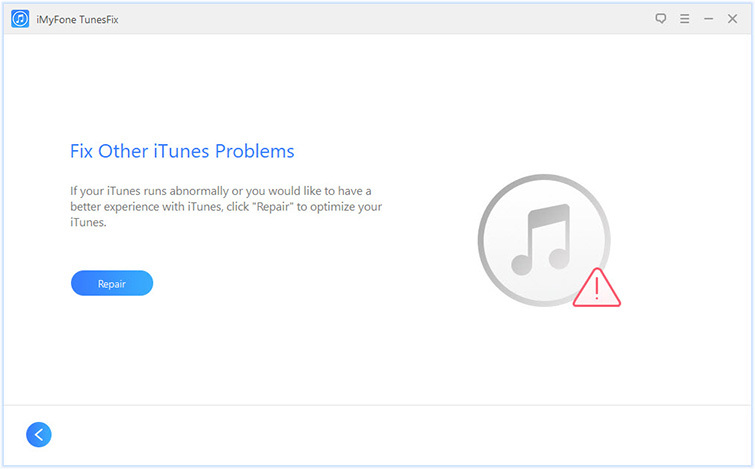 Fix other iTunes Problems: iTunes problems which you have no idea about could be fixed using the repair tool. Clean iTunes Completely: You can choose the Quick Clean or Deep Clean to clean you iTunes completely. Having considered the 2 options above, it is very reasonable to say that using iTunes Fixer is the best solution to your “iTunes no sound windows 10” problem. If you are so sure the problem isn’t from the audio settings of your PC, an iTunes Fixer will detect and fix the problem as well as other issues you may encounter for you.